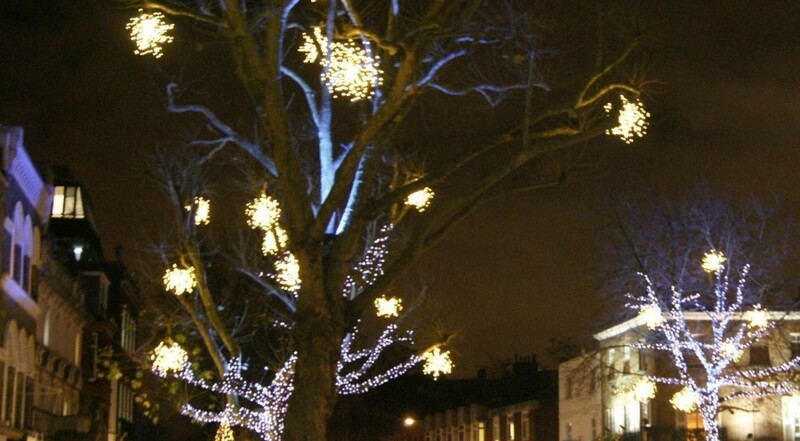 Home » London Celebrations » Winter Wonderland in Hyde Park Is Back Again With A Big Bunch of Fun! The shop window panes on Oxford Street are adorned wonderfully, an oversize Christmas tree is positioned in Trafalgar Square and one can gasp holiday feeling….it all shows that Christmas season is approaching soon! A single visit to Winter Wonderland in Hyde Park is an incredible way to drench deeply in the festive spirit. With several exciting rides, Christmas markets, Oktoberfest and exotic food, this place has something to offer even the pernickety visitors. This year the park is open from 20th November 2015 and will open till 3rd January 2016. The closet stations to reach Hyde Park are Knightbridge, Victoria, Hyde Park Corner, Green Park, and Marble Arch. Although the entry is free, but visitors need to buy tickets for Zippos Circus, Magical Ice Kingdom, Ice Skating, Bar Ice, and the Giant Wheel. The ice rink in Winter Wonderland is the largest one and is placed around Victorian bandstand. This joyful and romantic setting is decorated with more than 100,000 dazzling lights. You can enjoy skating from 10am -10pm. To avoid hassles, book your tickets earlier. So, get your skates on and slide through the biggest and best rink in town. Winter Wonderland is incomplete without grand Zippos Circus. This show is performed in Mega Dome, which is the biggest and newest tent in the London. Zippos Circus features a lot of marvels, such as aerial silks dances, world-class magicians, springboard acrobatics and much more to amaze you. Evening lovers can enjoy Mechankia, which is a contemporary show. The energy packed tricks will leave you mesmerized and compel you to stick on your seat. Ice Kingdom is placed at the heart of great Arctic Circle, which takes you all the way through a land of real snow and ice. Delve into the ice castle and take the weight off your feet on thrones shaped from ice blocks. Take a stroll through the funhouse where you can spend a jolly good time with arctic creatures and polar bear. For adrenaline rush, jump onto Ice coaster or fasten yourself with belt so you can Starflyer, a high flying ride. Put an end to your exciting journey at Bar Ice, where you can gulp cocktails and other drinks. Take your kids to Santa Land and see a lovely smile on their face. A truly magical experience with interesting games, kids rides, yummy eatables, and Santa himself in the cave! Santa’s Grotto opens from 10 am to 6 pm, ample of time to express your love for Santa. Visiting Santa is free, but for rides you need to buy tickets. A trip to Winter Wonderland is savorless without fantastic carnival rides. Select from Power Tower, Fun houses, Roller coasters and an exhilarating drop ride. Hop on to Observation Wheel and let your eyes see the stunning views of London skyline. Glance around the souks to enjoy the festive season at its best. Here your eyes can witness more than 200 Bavarian style wooden chalets, which are lit beautifully with fairy lights. You can also buy unique gifts and other Christmas decorations. Food and beverage lovers can relish mulled wine, hot chocolate, and nibble unique sweet treats. In Winter Wonderland Hyde Park festival you are truly spoilt for many choices. Whether you’re a fun-seeker, want to share a giggle with your family in the funhouses, or simply want to share a romantic ride with your love—there is something for all age groups!